EFFECTS: Anti-bacterial, Anti-cancer, Anti-inflammatory, Bronchodilator, Memory Enhancer. 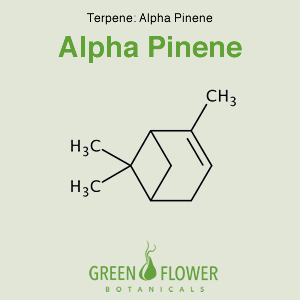 Strains Containing Alpha-Pinene include: ACDC, Banana Kush, Durban Poison, Granddaddy Purple, OG Kush, and Trainwreck. At low exposure levels, α-Pinene is a bronchodilator in humans, and is highly bioavailable with 60% human pulmonary uptake with rapid metabolism or redistribution. α-Pinene is an anti-inflammatory via PGE1, and seems to be an antimicrobial. It exhibits activity as an acetylcholinesterase inhibitor, aiding memory. Like borneol, verbenol and pinocarveol (−)-α-pinene is a positive modulator of GABAA receptors. It acts at the benzodiazepine binding site. With acute pancreatitis, alpha-pinene treatment reduced histological damage and myeloperoxidase activity in the pancreas and lungs. Furthermore, alpha-pinene pretreatment reduced the production of pancreatic tumor necrosis factor (TNF)-alpha, interleukin (IL)-1beta, and IL-6 during acute pancreatitis. In vitro, alpha-pinene inhibited cerulein-induced cell death and cytokine production in isolated cerulein-treated pancreatic acinar cells. This could point to alpha-pinene possibly having beneficial effects with pancreatic cancer and maybe diabetes. It has been shown that alpha pinene has anti-inflammatory effects in human chondrocytes, thus exhibiting potential antiosteoarthritic activity.  + alpha pinene was shown to inhibit the interleukin -1beta- induced inflammatory and catabolic pathways, nuclear factor kappa-light-chain-enhancer of activated B cells and c-Jun N-terminal kinases activation, and the expressionof the inflammatory (iNOS) and catabolic (MMP-1 and -13) genes. Mice placed in an environment enriched with a-pinene demonstrated reduced melanoma growth, and tumor volume of the mice was about 40% smaller than that in the control mice. In another study, alpha-pinene was identified as an active anti-proliferative compound on liver cancer BEL-7402 cells using the MTT assay. Alpha-pinene inhibited BEL-7402 cells by arresting cell growth in the G2/M phase of the cell cycle, downregulating Cdc25C mRNA and protein expression, and reducing cycle dependence on kinase 1(CDK1) activity. Alpha pinene has been shown to be a uncompetitive reversible inhibitor of red blood cell acetylcholinesterase in vitro. The essential oil of sage having, camphor, 1,8-cineole, bornyl acetate, alpha pinene and several other terpenes in much smaller concentrations were exposed to human cells. Since many memory-enhancing and dementia drugs are based on inhibiting cholinesterase to enhance cholinergic activity, it is thought that alpha pinene may act as an effective supplement for such conditions.